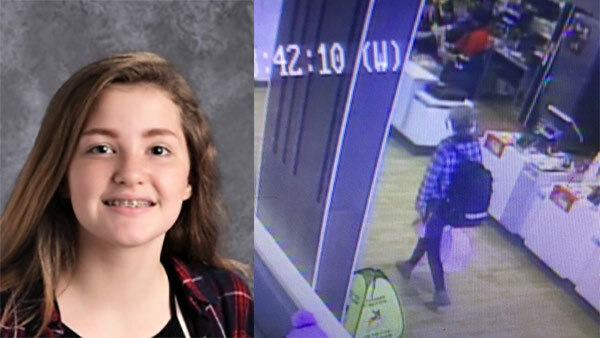 Police say Sarah Maness was seen on surveillance video at the McDonald's on the 300 block of East Main Street around 8:45 a.m. Monday. NEWARK, Del. (WPVI) -- Newark police say after receiving a tip from the public, a missing 14-year-old high school student has been located in good physical condition. Sarah Maness was reported missing from Newark High School Monday morning. Newark Police issued a Gold Alert as they attempted to locate the teen. Several hours later, Maness was located.